Yahoo certainly isn’t the only high profile company to experience a significant data breach in recent history. In fact, it seems like stories of sensitive personal information being exposed or outright stolen have become commonplace over the last few years. These stories come from here in the US and around the world, and have affected all types of companies – from social media networks, to credit reporting agencies, to entertainment companies, to main street businesses. Indeed, it is not only Fortune 500 companies that need to worry about cyber risk. In this day and age, all types of business organizations, both large and small, face risk in cyberspace. In fact, a report from Insurance Journal suggests that 55 percent of small businesses in the US have experienced a data breach; 53 percent have experienced multiple data breaches. Reports brought to our attention by CIO, a journal for Chief Information Officers, suggest that more than a third of all virtual “phishing” attacks are carried out against businesses with 250 employees or fewer, and that 43 percent of all cyber attacks are targeted at small businesses. The reality is that, in our digital-first, technology-centered landscape, your business is at risk, be it from a highly sophisticated act of cybercrime, or the simple act of an employee mishandling a company computer. Restaurants, marketing agencies, car dealerships, freelancers – no one is immune from the threat of crime or malpractice in the virtual world. In a world of digital risks large and small, cyber liability insurance can offer businesses a degree of protection and peace of mind. Also called cyber risk insurance, or simply cyber insurance, cyber liability insurance coverage (CLIC) refers to policies designed to help protect a business organization from risk to its tangible and intangible property resulting from electronic activities. Broadly speaking, cyber insurance covers your business’ liability for financial losses incurred as the result of a data breach or another damaging cyber event. 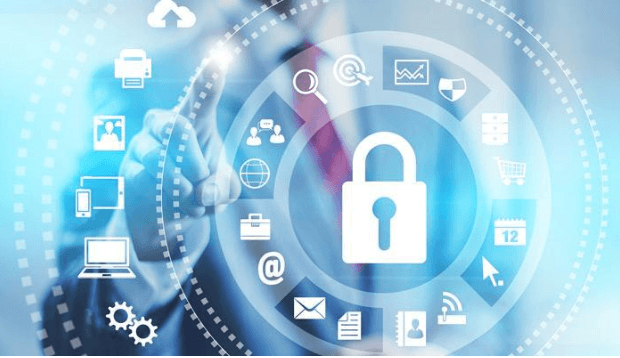 In particular, a cyber policy offers protection in case of an event involving sensitive information about not only your business and employees, but also any customers and vendors whose information you may store. Examples include Social Security numbers, credit card information, bank account information, driver’s license numbers, personal health records, and so on. Many cyber liability policies cover both third party and first party coverages. Third party coverages offer your business protection from third party claims, which are claims brought by another individual or business. Broadly speaking, this is coverage that protects customer and vendor information that you have on file. Types of third party coverages include information risk liability and communication incident liability, which both help to protect you in the event that personal information of others stored in your care is breached. Another type of third party coverage is privacy administrative proceedings defense expenses, which can help defend your organization in the event that a governmental authority brings proceedings against you due to violation of a privacy regulation. Other third party coverages may include errors and omissions liability and network security and privacy liability. First party coverages cover claims you make against your own insurance, such as loss of income for a covered business interruption, or the cost it takes to notify customers in the event of a data breach. Types of first party coverages include data loss expenses. This is coverage that allows you to effectively respond to a breach in your data, including notifying and offering restitution to affected clients, or restoring/replacing affected information and systems. Other common types of first party coverages include personal identity recovery expenses, loss of income or extra expenses, and computer and funds transfer fraud. Cyber liability coverage is only going to continue growing in importance in the years to come, as more and more elements of our personal and professional lives migrate online. Protecting your business’s information – including the personal data entrusted to you by your customers – may prove paramount to your organization’s long-term growth and success, particularly as the number of lawsuits and claims from data breaches and cyber crime continues to grow. PwC estimates that cyber crime alone already costs the global economy more than $400 billion a year, and forecasts that the total value of cyber insurance premiums will reach $7.5 billion by 2020. Interested in taking steps to protect your business from a growing risk? Robert Loomis & Associates can help tailor a package to protect your business, and give you the peace of mind that comes with knowing you are covered. Our independent agents know that no two businesses are alike, and can help you find the coverage that meets your specific insurance needs, including cyber liability protections tailored to specific industries. Ready to get started? Please don’t hesitate to fill out our “Request a Quote” form or call us at (313) 885-1382 to schedule an appointment, so that we can assist you in finding the proper insurance for all of your commercial needs.